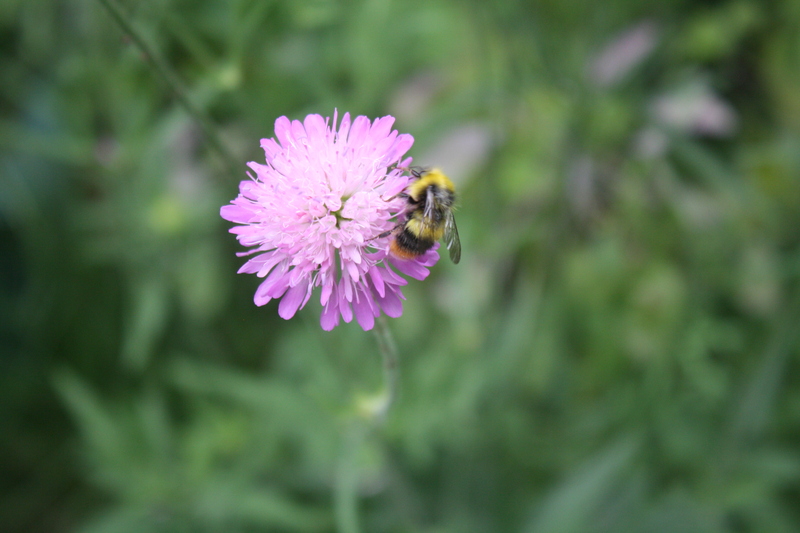 On Friday afternoon, June 2nd, I had a look in the garden to see what bees were around with a view to sending the details to the annual Great British Bee Count run by the Friends of the Earth. I spotted two tree bees, which are black with an orange furry thorax and a white bottom. There was another, with three yellow bands and a white bottom, which I thought after looking at a poster from FoE, may be a garden bee. There was a small black one with a red bum, which I guess must have been a member of the red-tailed bee species, and a small one with a yellow collar and white bottom. Could this be a male early bumblebee? Unfortunately, I didn’t manage to get a really pleasing photograph of the bees – maybe by the end of 30 Days’ Wild on June 30th (which is also when the Bee Count ends) I’ll have managed one. I hope so. I also took some pictures of the plants they seem to like, white clover, foxgloves and scabious. We’ve been lucky enough to receive packets of wildflower seeds from the campaigning group 38 Degrees, Friends of the Earth and the Wildlife Trusts, so, the bees should be well provided for! Seeds for bees and butterflies. Anyone can take part in the count, which started on May 19th, just search for Great Britiswh Bee Count on your device and download the app. Twenty species of bee have been lost in the UK since 1900 and a further 35 are considered to be threatened with extinction, so we need to do all we can to help these important creatures.